C3Brix was hired for the very final issue of Details Magazine. Working with the photographer Craig Cutler, we created a detailed mini Lego city within a giant city. C3Brix had the great honor of being invited onto the Steve Harvey Show for turning a passion into a profession. Good Day New York invited C3Brix to their show on August 12, 2105. We were honored to present the anchors Greg Kelly & Rosanna Scotto with their very own portrait. NY1 came to the C3Brix studio and filmed a live interview with Cody about his Lego journey. C3Brix has found a home with numerous WWE Superstars. 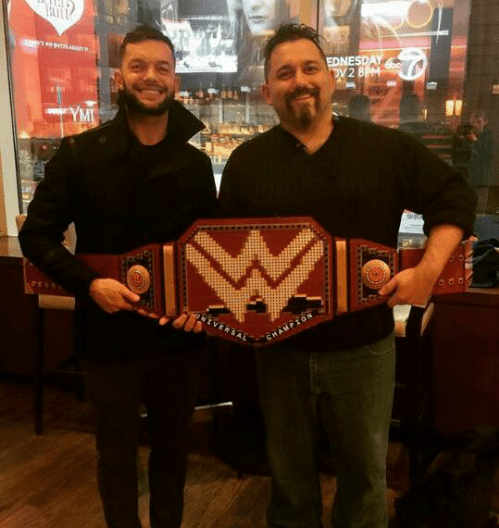 Seen Here (L to R): Finn Balor, Daniel Brian (with portrait of wife Bri Bella), Seamus, and double-sided portrait of Finn Balor/his wrestling personality. C3Brix had the honor of working with an NYC marketing firm to create the social media premier of Lego's Spider-Man: Homecoming sets.